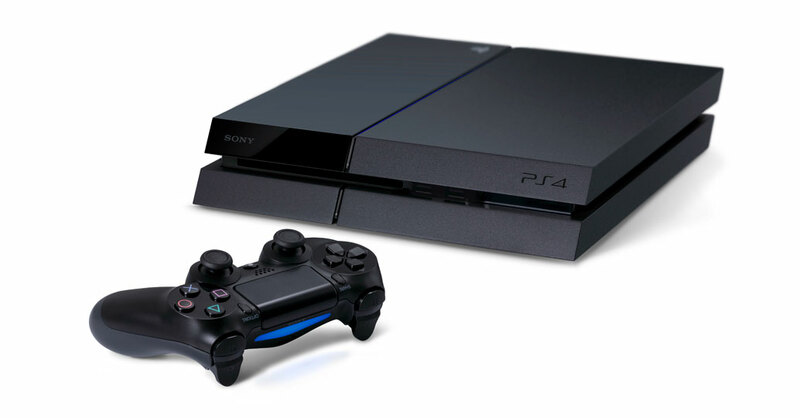 The Technology Sony added to the PS4 this gen was bigger for me personally than I even expected, here’s why. The ability to take screenshots and record video clips has allowed a convenience I never fathomed having and in the most unlikely place too. Don’t get me wrong I always liked the feature and knew it would prove useful somehow but I did not know how often I would use it or how it would help overall with my gaming experience and business. Early indications pointed to the fact I would use the feature sparingly; I had the PS4 basically since launch but have developed a new found appreciation for the feature by way of Madden 15. You see with EA/Tiburon’s football game every year without fail I do my own rosters. And I do my own rosters because I feel that they have never gotten it right as far as ratings (especially), equipment, among other things to reflect it’s real-world counterparts. Take Michael Vick for instance everyone who follows football knows that Vick coming out of college was not only one of the fastest players at his position but he was one of the fastest players period — regardless of position. I believe he came out running around a 4.25 in the forty yard dash, to put it in perspective that’s less than a hair under Chris Johnson’s (CJ2K) record setting 4.24 forty at the combine. Heck, Vick still has the speed to go even if he slowed down ever so slightly. I remember seeing his rating several years back, might have been the one when he was on the cover, I looked at his speed rating and guess what it was? 80 spd, 80 spd!!!? Michael Vick!!!? No way! Not even close! I chalked it up back then to EA not believing a Quarterback could have 90+ speed. The fact EA gave him 80 was to me them acknowledging that he’s faster than the average QB because back then a QB was lucky if he sniffed 70 spd, but ultimately still in denial of his real-world speed. To this day even though they finally had put him in the 90+ range over the years, with the highest I believe I saw him ever having was peaked at 94 I still feel they shortchange him. And what is he now? 89 spd? Unacceptable, no way has he slowed down that much. At his peak he should have been 98 spd 98 acceleration and today should be at 96 spd 96 acc or 95spd 97 acc. So I take it upon myself every year to try and get the ratings as real-world as possible; every player, every team, down to the kicker; down to the long snapper. Do you know that there were kickers in the NFL that ran a 4.4 forty?! (See Adam Podlesh). I research everyone’s measurables to get it right, even the quote, unquote looked over insignificant ratings or players. So how does this come into play with PS4 technology? Glad you asked. Even though I enjoy making the rosters accurate I must say the process is a BEAST! It can be tedious and it doesn’t help that with every year; with every new Madden I have to start over. There were times I didn’t finish the rosters until the season was over lmboooo. You see, when I first started doing them I would write down every team, player, position, and ratings on a piece of paper then start copying from there. Over the years I wised up and started incorporating technology; using my phone and recording the roster ratings on previous madden’s for reference for the upcoming new madden and then use the recordings to update. Which in turn was a faster way to get the same job done. I was all geared up to use my phone again when I realized that the PS4 would be my best ally. So now all I do is pull up the previous Madden (in this case Madden 25) take screenshots of all the teams, which takes no time and ends up in the PS4’s capture gallery pop in Madden 15 and almost seemingly from there go back and forth between the screenshots and the game to fill in the required information. I also have the option to record the whole NFL roster ratings in one swoop and get the info that way. I don’t know how much real-world time it’s saving me ( I bank a ton) but it feels magical; much more convenient and seamless then any previous method I chose. I’m curious how this feature will make my life easier on other future titles. By the way I’m really proud of the rosters I hope to one day share it with the world. I believe all “real simulation” football players would appreciate them.